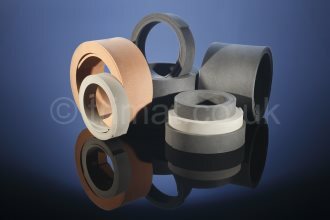 Specialist UK manufacturer of friction materials. Our non-asbestos friction materials are critical to the performance of a wide range of motion control and power transmission applications. Our drive technology friction products have been specially developed to provide precise, reliable and durable performance, even in the most humid environments. Our friction materials are trusted by the world’s leading elevator and escalator producers, to deliver durability, reliability and consistent performance. Our specially developed wind power friction materials, offer high friction and strength with the advantage of low noise, making them the ideal choice for turbines operating in any environment. Our non-asbestos brake and clutch linings are established world leading materials, for use on the full range of marine applications. Our asbestos free brake and clutch linings are installed on a wide variety of applications within the Oil and Gas Industry, providing reliable, safe and efficient performance in the most challenging conditions. Our non-asbestos friction materials are integral to the safe, reliable and efficient performance of mining and excavation equipment around the globe. Our range of asbestos free brake and clutch linings are installed around the world, helping industry stop and control motion, safely, reliably and effectively. Our non-asbestos friction materials are used on a broad spectrum of agricultural plant and equipment, providing dependable performance and long service life. Friction materials, brake and clutch linings. 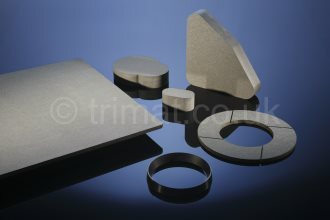 Trimat Ltd is an advanced developer and manufacturer of friction materials for use in a wide variety of equipment and environments. Established in 1962 the company has an excellent reputation for supplying premium quality products and customer service, at competitive prices to a worldwide customer base. Our asbestos free brake and clutch linings, friction material products and components are the preferred choice for many world-leading original equipment manufacturers. Installed on a diverse array of industrial, marine, mining, aerospace, elevator, construction, oil and gas, off and on highway vehicles, Military, agricultural and domestic applications, anything from vacuum cleaners to offshore drilling rigs, even satellites. Our products provide consistent, durable performance often in the most difficult circumstances and environments; salt water, subsea, high humidity, sub-zero temperatures, hot and dry dusty climates, Trimat friction products are successfully applied in all. 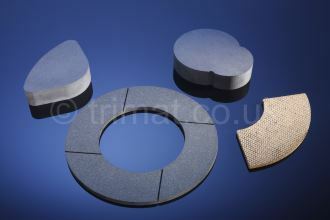 Producing a broad range of friction materials that include, press moulded, woven and roll formed qualities including organic and semi metallic formulations, each offering different frictional properties and mechanical characteristics. 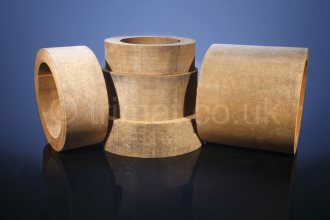 Our friction products are available as finished machined or moulded parts, bonded assemblies or alternatively sheets and rolls for machining locally. All Trimat friction materials and products are manufactured at our modern, environmentally friendly UK production plant, in a quality driven, clean, well- organised and flexible manufacturing facility suitable for low or high volume requirements. Every process is regulated by stringent quality controls and a quality management system accredited to ISO9001. As an established OEM supplier we are familiar with the requirements of PPAP, FMEA and FAIRs and of course have dedicated control plans in place for specific products and customers. Research and development is an integral part of our business model. Our in-house expertise and expansive knowledge of brake and clutch applications enables us to collaborate closely with clients to develop materials specifically for their needs. Our development team work with the latest raw material technology including Kevlar, Panox, Triton, Ceramics, Aramid products to ensure that our materials are at the forefront of friction technology. Supported by our manufacturing facility and lab scale production processes, we have the ability to manufacture prototypes and samples quickly for test and evaluation purposes. 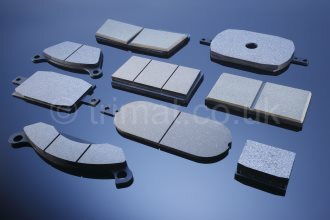 If you have a requirement for brake and clutch linings, friction materials, disc brake pads or friction components, no matter what the application or environment, large or small, please contact us. Extensive flammability and spark testing completed on Trimat friction materials. Results will be an essential tool for designers and manufacturers of brake and clutch systems for ATEX environments. Visit the ATEX page. Trimat are pleased to announce we have attained ISO 9001:2015 certification, progressing from ISO 9001:2008. Hurst Business Park, Brierley Hill, West Midlands, DY5 1UF, ENGLAND.